The SLDR name has been synonymous with TaylorMade’s “Loft Up” message since the launch of the SLDR driver in August, 2013. Excuse the acronym. 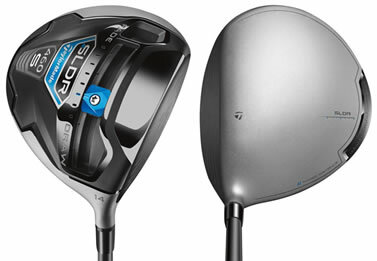 The SLDR, pronounced SLIDER, is actually the name given to this driver period. It refers to the slider track on the bottom of the TaylorMade SLDR Driver, which allows the weight to be repositioned to encourage a fade or a draw. Following the success of the original, the SLDR S is the latest in this series of clubs — promising “distance for all”. The S is for the club’s new look – a silver matte crown paired with black accents. It could also stand for SIMPLE because the SLDR S driver comes without the adjustable hosel of the original SLDR. Martin Kaymer, the winner of the 2014 Players Championship and US Open, played three SLDRs – a TaylorMade SLDR 460 Driver, a TaylorMade SLDR 3 Wood and a TaylorMade SLDR Hybrid. 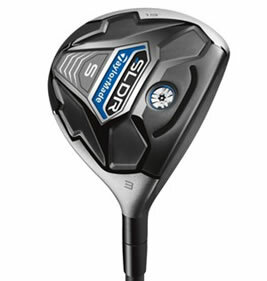 TaylorMade recently added the SLDR S metal woods series for 2014, specifically engineered to provide increased distance for golfers of all abilities and swing speeds through high-lofted metal woods. The two main performance benefits carry over from the original SLDR – a low, forward centre of gravity contributing to faster ball speeds and less backspin, and the sliding weight in the sole to change the draw/fade bias by up to 30 yards. 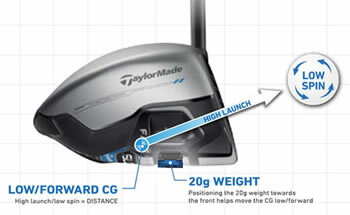 While many drivers in recent years have placed weights or materials in the back of the head to draw weight away from the face, the SLDR S line features TaylorMade’s renowned low forward centre of gravity (CG) placement – a recent TaylorMade engineering feat, wherein weight is re-located to the front of the head to promote faster ball speed, a higher launch angle and a lower spin-rate. Each club in the SLDR S lineup is bonded. These new, non-adjustable SLDR woods offer the performance of the No.1 driver on Tour at a more affordable price. Golfers will still enjoy four loft options, as the driver is available in 10°, 12°, 14° and 16°. 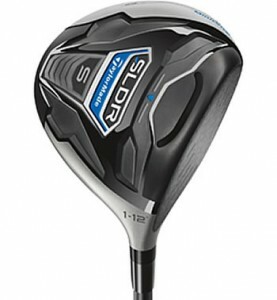 The SLDR S driver is equipped with the lightweight Fujikura Speeder 57 graphite shaft and TaylorMade high-traction grip. Other than the new “Silver Satin” crown and black face look, this is essentially a more mass-appeal version of the original SLDR driver. Many golfers believed the SLDR driver was designed only for Tour players who can produce extremely fast swing speeds, so the SLDR S features one or two differences that makes it better suited to everyday players. TaylorMade has invested heavily in marketing their “Loft Up” campaign, encouraging golfers to add loft with the SLDR driver to unlock more distance. With SLDR S, the loft options are even higher. As mentioned previously, players can choose from 10°, 12°, 14° and even a 16° model. I switched from the 14° to the 16° and the results were an additional 12- 15 yards! The TaylorMade SLDR S Mini Driver is designed for players that hit their 3-wood off the tee a lot more frequently than from the fairway. 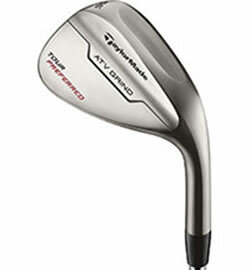 As a result, TaylorMade has created a new golf club that incorporates the distance-enhancing low-forward CG and speed pocket technology sized up to a 260cc footprint that is in between a 160cc 3-wood and 460cc driver. 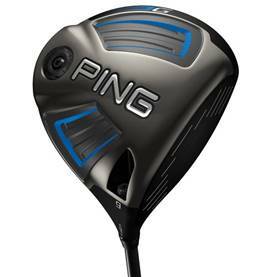 The driver features a 260 cc head with a larger, deeper club face than a 3-wood giving you more stability and forgiveness on mis-hits, while allowing you to tee the ball higher, making it easier to launch off the tee than a 3-wood. Additionally, the Mini Driver’s sole, smaller than a driver’s, is designed to make it easy to hit this club off the deck. That’s why, even though it’s called a SLDR Mini Driver, you’re going to want to replace your 3-wood with it. In reality, this mini driver really works as promised. 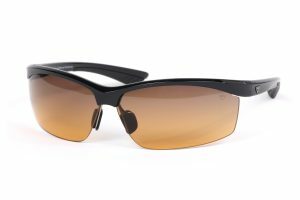 It is surprisingly easy to hit off the fairway and really works well off the tee. I am even going out on a limb by saying you can expect straight drives and 200 yards at a minimum. 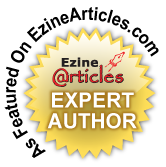 All our testers did! An additional feature of the SLDR Mini Driver is the Matte silver crown and black button-back which makes accurate face alignment easy. TaylorMade’s fabulously successful Inverted Cone Technology is also present in this club. Three lofts are available: 12°, 14° and 16°. Here again, I found the best results with the 16° and a resultant 10- 12 extra yards. Many of our testing group concurred with my personal findings. 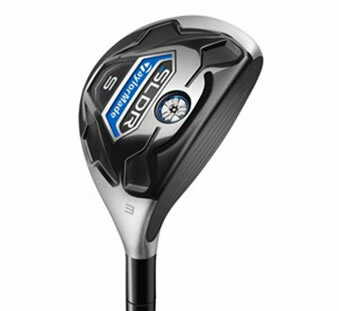 SLDR S fairway woods and Rescues feature a larger footprint and a shallower face compared to SLDR. SLDR S fairway woods are equipped with the Fujikura Speeder 65 graphite (43.25″) shaft and are available in five models/lofts: 3W (15°), 3HL (17°), 5W (19°), 5HL (21°) and 7W (23°). The SLDR S Rescue shaft is the Fujikura Speeder 72 (41.25″) and is available in four models/lofts: 3 (19°), 4 (22°), 5 (25°) and 6 (28°). 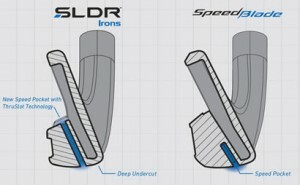 Now TaylorMade has expanded its successful SLDR equipment franchise into the iron category with the introduction of the SLDR iron – engineered for golfers seeking a classic clubhead in terms of shape, size and finish, combined with the distance-enhancing and yardage-consistency benefits of TaylorMade’s renowned Speed Pocket technology. The most noticeable structural change is how TaylorMade has chopped off the chunky toe section on the rear part of the iron. This has allowed the brand to place more weight lower and deeper in the head to give the SpeedBlade the lowest centre of gravity in TaylorMade’s history. First featured in the legendary RocketBallz fairway woods and Rescue Clubs, and later adapted for the RocketBladez and SpeedBlade irons, the SLDR iron’s Speed Pocket, with new ThruSlot Technology, is characterized by a 2mm-wide slot cut high up behind the clubface. With a deep, undercut cavity behind the thin face and the ThruSlot cutting entirely through the club head, TaylorMade believes the SLDR irons create even more flex and speed at impact resulting in faster ball speed, a higher launch angle, strong ball flight and a steep, quick stopping descent angle. In a nutshell, ThruSlot Technology promotes a higher ball flight, longer carry distances and more consistent gapping between irons than the older versions of the Speed Pocket. As for the SLDR iron’s remarkable sound and feel, these come from an advanced vibration-dampening system that includes the polymer that fills the Speed Pocket and a shock-absorbing badge positioned in the back cavity. 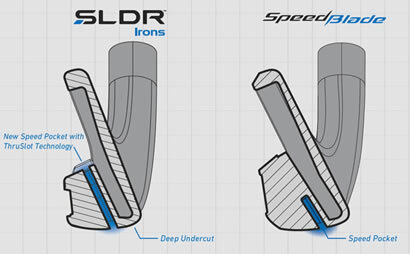 The Speed Pocket is found in the soles of the SLDR 3-7 irons. Because of the SLDR iron’s classic shaping, slim top line and thin sole, which add to the iron’s overall beauty and promotes keen response and playability, the company anticipates the irons to find favor on all Tours. Another way in which the SLDR irons prove their better-player quality is in the shaft. TaylorMade has paired the new irons with the premium KBS Tour C-Taper 90 steel shaft as standard. The Tour-level shaft is designed to help promote a higher launch as well as improved spin control. For players needing a little more flex or a lighter option, Fujikura have produced three different flex/weight graphite shafts specifically designed for the SLDR irons. SLDR irons are available in 8-piece sets (4-AW being the most popular) in a choice of KBS’s new Tour C-Taper 90 steel shaft (Regular or Stiff flex), which is engineered to promote high launch and spin control, and Fujikura graphite in three weights and flexes 77 grams (Stiff), 67 grams (Regular), and 57 grams (Senior). The irons feature a hand-polished chrome finish and a Golf Pride Tour Velvet, 47.5 gram grip. Custom grip and shaft options are also available. The soft, 304 stainless-steel Sand and Lob wedges, have been designed with a traditional Tour shape and blade construction to not only fit the eye of a player, but also fit a gap in their bag. The Preferred ATV has a concaved sole, which is not as concaved as the previous ATV, offers increased turf interaction by delaying the bounce, which in turn allows the wedge to glide through the turf and the sand. The Raw Tour Satin finish applied to these wedges is definitely an improvement over previous models. You won’t find a bounce number on the ATV club head because the sole takes on different bounces depending on how you position the club for the type of shot you’re hitting and how much you open the face. The wedges feature TaylorMade’s ATV (All Terrain Versatility) engineered to produce better feel, spin and control from a variety of lies around the green. Additionally, the optimized microtexture face and aggressive groove design, also known as surface roughening treatment, help increase overall spin for maximum stopping power on the green. The KBS Tour V Steel wedge shaft is standard. The ATV is equipped with the Golf Pride Tour Velvet wedge grip. $129.99 each. Lofts of 54°, 56°, 58° and 60° are available. 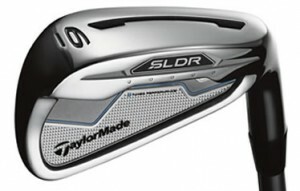 Expect more great products from TaylorMade. 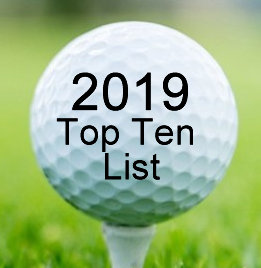 Their obsessive goal is to make clubs that are easy to play, go farther and appeal to the majority of both Tour players and the recreational golfer. 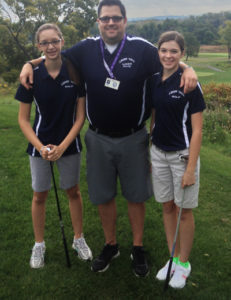 This entry was posted on Monday, July 7th, 2014 at 4:31 pm and is filed under Golf Equipment Reviews. You can follow any responses to this entry through the RSS 2.0 feed. Both comments and pings are currently closed.